A recently acquired cutlery set, presented to Police Sergeant Walter Bird of the Monmouthshire Constabulary by the residents of New Tredegar. 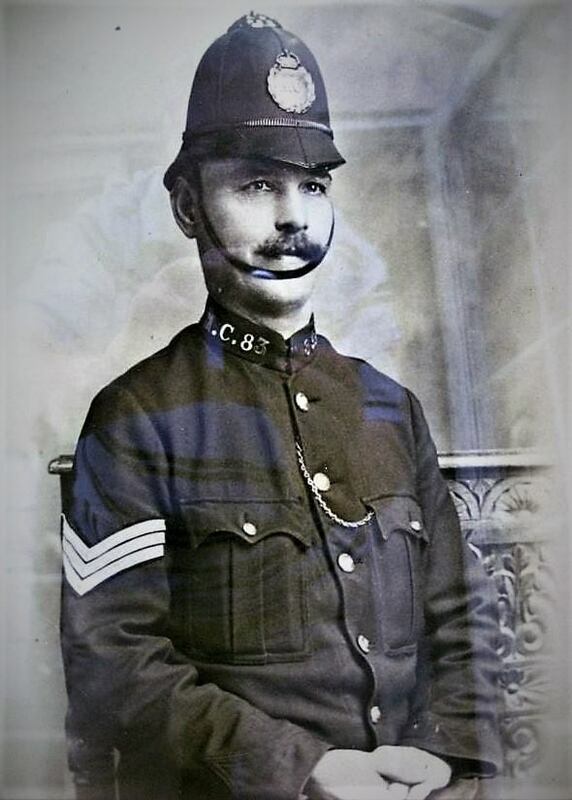 He served in the Monmouthshire force at Risca, Abertillery and Blaina. After his retirement, he became the first landlord of 'The Rising Sun' public house, Graig Rhymney. I purchased the large mounted photograph of him some time ago and it is pleasing to have now brought both items back together. Framed photo measures 20" x 16". Part of The Ross Mather Collection.